Even if you've never been, you're probably quite familiar with this magnificent piece of architecture, so frequently has it been used in film and TV. You've seen Robert Downey Jnr and Jude Law running through it as Sherlock Holmes and Dr Watson, and Meryl Streep brought terror to the Labour council there, striding its corridors as the Iron Lady. 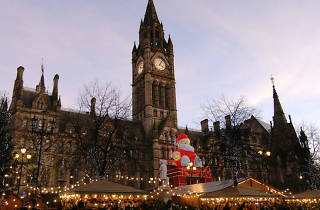 Situated on Albert Square, the town hall is iconic, the heart of the city, regarded as one of the finest examples of neo-Gothic architecture in the UK. Designed by Alfred Waterhouse - who also designed London's Natural History Museum - and completed in 1877, the building includes majestic staircases, and the beautiful Mayor's parlour, a stunning clock tower and a wondrous great hall, decorated with murals by Ford Madox Brown which illustrate Manchester's rich history. 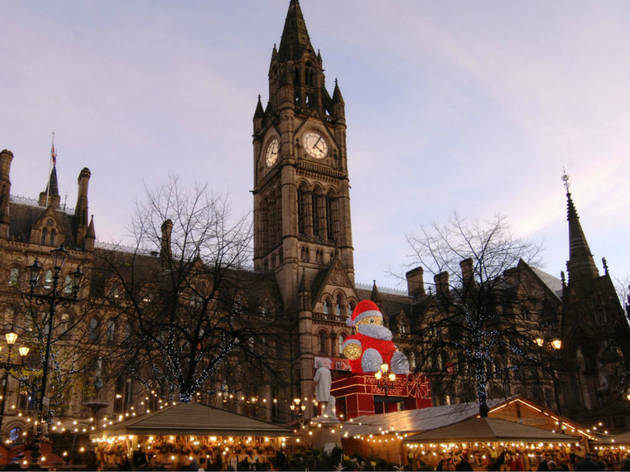 Pop in to the Sculpture Hall Café to get a taste for the building and check out the events which happen in the square itself, frequently taken over by the likes of Manchester International Festival, Manchester Jazz Festival or the annual German Christmas Markets.